Hits 0-100 km/h 0.3 seconds quicker than the FF. The Ferrari FF has received its mid-life facelift, but in a new name - Ferrari GTC4Lusso. The facelift, shown at the 2016 Geneva Motor Show today, is a major one in all aspects - visuals, performance, dynamics and equipment. From bumper to bumper, almost everything on the outside is new. The new exterior enhances the aerodynamics. For instance, the new grille with integrated air intakes improves the efficiency of the radiating masses. The aerodynamic measures have substantially lowered the Cd value. 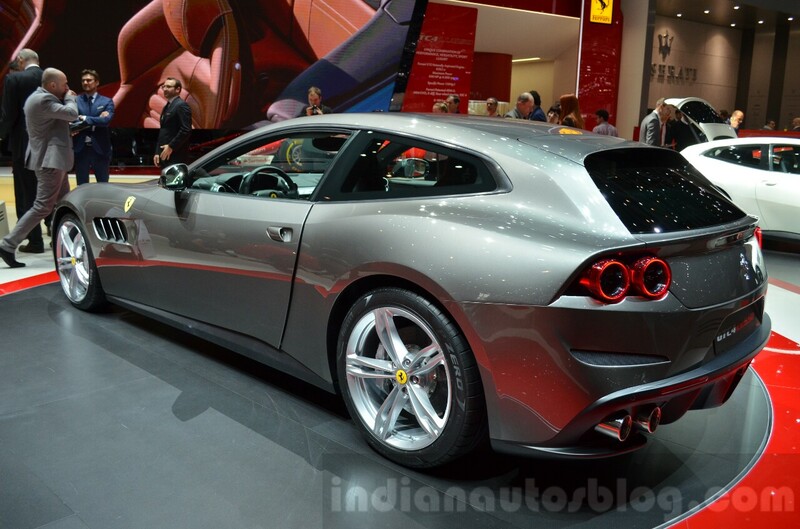 Inside too, the Ferrari GTC4Lusso is drastically different from the FF. 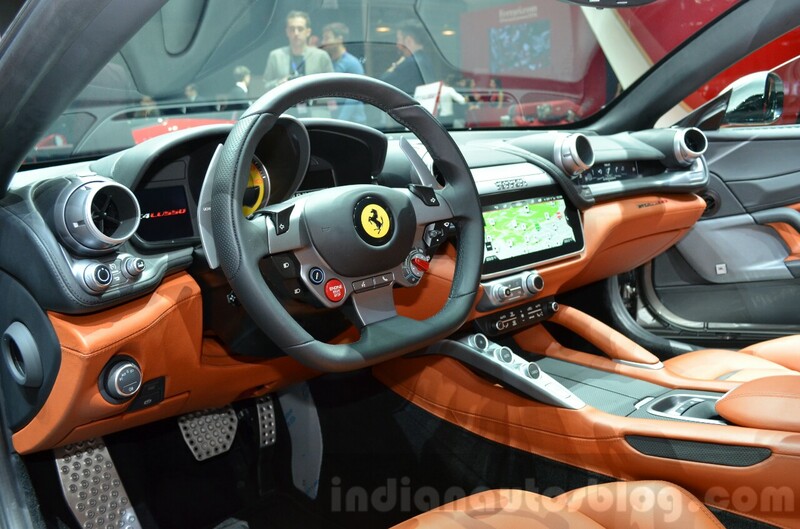 There's a new steering wheel, new centre console, new centre tunnel and new seat design. The steering wheel is more compact now, thanks to a smaller airbag. The GTC4Lusso debuts the company's new infotainment system featuring 10.25" HD capacitive touchscreen. Under the bonnet, there's still the previous 6.3-litre naturally aspirated V12 engine, but it's been uprated to produce 507 kW (680 hp) and 697 Nm of torque from previous 486 kW (652 hp) and 683 Nm respectively. 0-100 km/h is clocked in 3.4 seconds now, 0.3 seconds faster, but the top speed remains the same at 335 km/h. Unlike the FF, the GTC4Lusso's four-wheel drive system is integrated with rear-wheel drive steering. 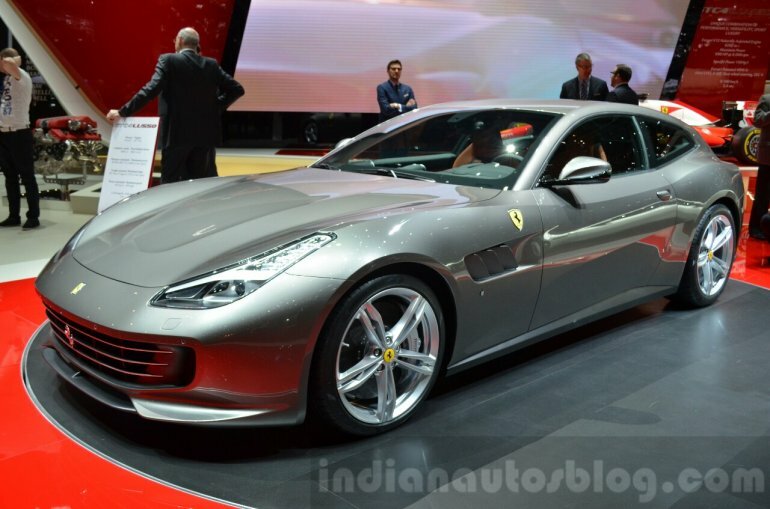 Ferrari calls the four-wheel drive system and rear-wheel steering's integration '4RM-S'. The 4RM-S system works with electronic differential (E-Diff) and the SCM-E dampers to provide better control.